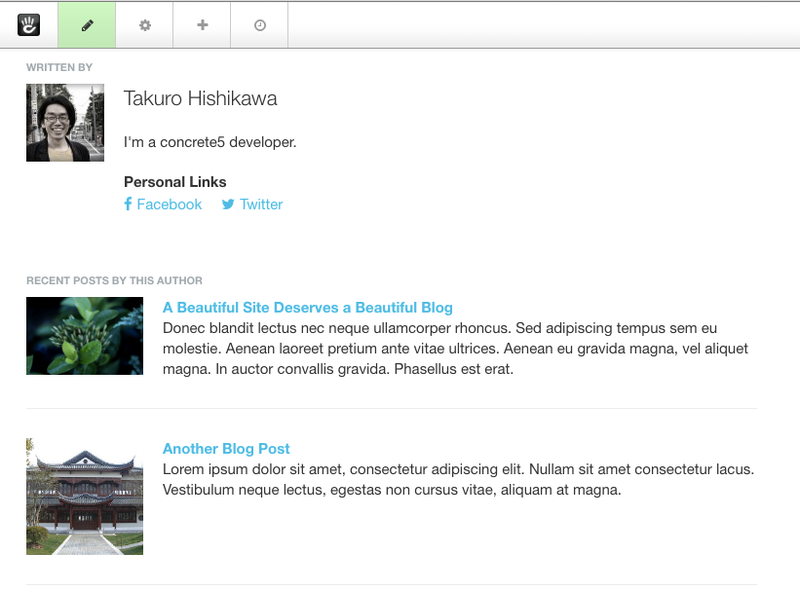 You can build blog site with concrete5 well, but not enough for multi-author blog site. You might need to show author's biography, or recent posts from this author. This add-on provides these features. This add-on contains two blocks.